Although the first W116 S-Class in the 1970s established Mercedes-Benz as a global leader in safety engineering and technical prowess for sedans, it was the next W126 S-Class, beginning in 1979, that saw this model become a top-tier luxury good, a true flagship, and a lasting symbol of affluence throughout the 1980s. The smoothed-over styling of the W126 S-Class signaled a newfound focus on aerodynamics and fuel-efficiency. With a coefficient of drag 14 percent better than the previous model and curb weights starting around 3,600 pounds, this generation of S-Class was quite efficient for its time in its six-cylinder and diesel forms when compared to that era’s large American sedans. Safety and occupant protection were also unparalleled, with a driver airbag offered through most of the model run and a passenger-side airbag introduced in 1989 (and made standard in 1990). Traction control was also introduced, as were seat-belt pretensioners. For the U.S., W126 Mercedes-Benz S-Class models can be split into two groups: 1979-1985 and 1986-1991. For those first years, the U.S. got the 380SE/SEL and 500SEL (both V-8) models, while after a thorough mid-cycle update in 1986 America officially got the 300SE/SEL (in-line six-cylinder), 420SEL, and 560SEL (V-8). SEC (coupe) models were offered in 380 and 500 form for those first years and 420 and 560 form after the mid-cycle refresh. 380 models (and even 420 models until near the end of the W126’s run) are widely considered to be emissions-strangled, and from 1986 the 300 models felt nearly as quick as the U.S.-spec 420. Diesels were also a serious portion of sales. From 1980 through 1985, the U.S. got a five-cylinder 300SD model, while a six-cylinder 300SDL model was offered in 1986 and 1987, and in 1990 and 1991 350SD and 350SDL models arrived to continue the diesel presence. In addition to the more powerful lineup of engines the W126 received with its mid-cycle update, these 1986-91 cars can be picked out cosmetically by their flush-face halogen headlamps and integral headlight wipers. Inside, these updated S-Class models include electronic automatic climate control, an electronically adjustable steering column, and leather steering-wheel and shift-lever trim, among other additions. Heated front seats were included in the 560SEL and 560SEC and optional on the rest of the lineup. A two-place interior option, with power-adjustable rear seats, was offered for the first time on 500SEL and 560SEL models—with a burl-walnut center console included with the two-place backseat, and plush Arametta (suedelike) leather upholstery on offer. In general, powertrains for Mercedes W126 models are quite bulletproof and last well past 200,000 with no issues. Engines often outlive the transmission. Front-end and steering bushings and components will need replacement long before that. Most typical repairs aren’t any more labor intensive than in other European cars of the era, but the parts cost can make the ownership cost prohibitive. The vacuum-operated power locks can be an annoyance with intermittent, irreproducible failures or sluggish operation, while the climate-control system is ineffective compared to those on modern cars—or even Cadillacs or Lincolns of that time—and can also be expensive to troubleshoot and repair. The diesel engines, in general, run to even higher mileage than their gasoline counterparts, without issue, although some fuel-system issues are expected in colder climates or if the vehicle isn’t run regularly. 350SD and SDL models, haven’t held the same reputation as the other diesels due to issues with bent connecting rods and cracking cylinder heads on some years. On any of the later diesel models, replacing engine mounts is a must, and on 1986 and 1987 300SD California-emissions models that have been driven, the original particulate filter should have been replaced with an oxidation catalyst. 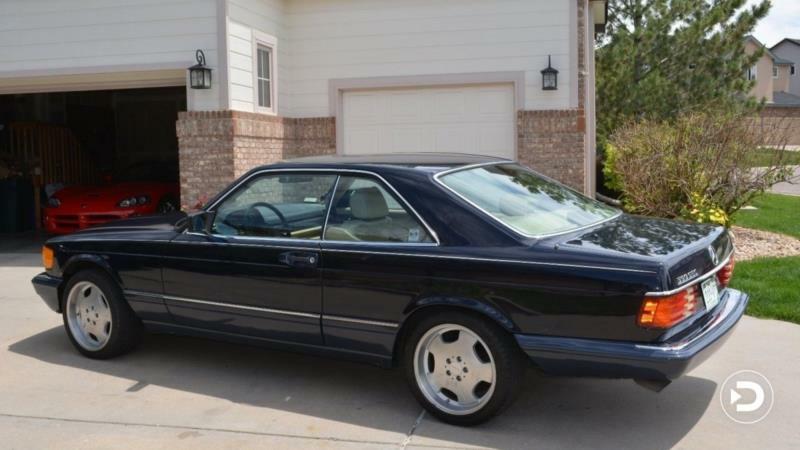 The S-Class is widely considered to be the poster car for the U.S. gray-market importation in the mid and late 1980s (up until the enactment of the Motor Vehicle Safety Compliance Act in 1988). 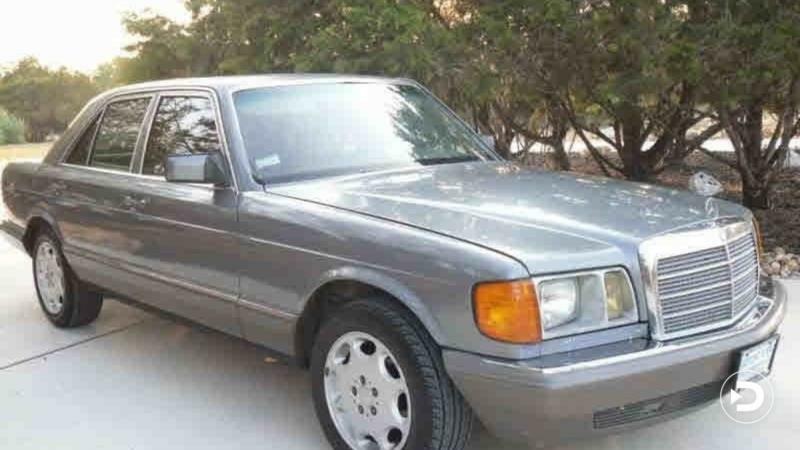 While 500SE and 500SELs were widely considered to be the best of the lineup from 1985 through 1991, Mercedes-Benz USA didn’t sell those in the U.S., and offered a limited array of features and finishes—leading dealerships to circumvent the “official” U.S. sales network and import about 22,000 in all.